Connecting with consumers through local sales channels can quickly become complex. Sales teams spread across regions need easy access to custom marketing materials that will resonate with their local customers. Fortunately, there is a simple solution: marketing resource management. A marketing resource management (MRM) system helps give you the order and control you need to streamline approval processes, manage the brand and work effectively with sales partners. 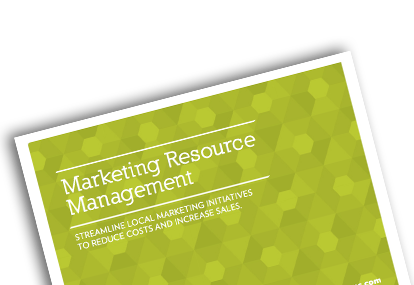 Download our brief MRM presentation today to share with internal leaders on how MRM can help your company.